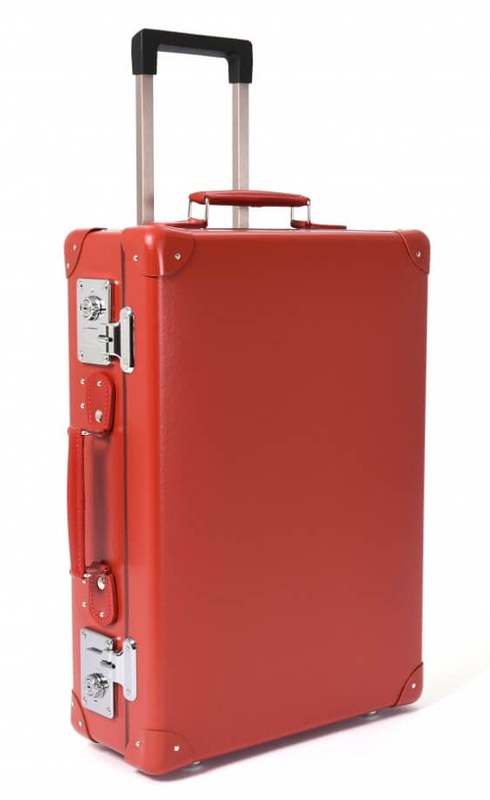 The new 20" trolley version of Globe-Trotter's Original range of suitcases is practically perfect for your travels. As long as you have the discipline to pack wisely, you can bring this on your flight as hand luggage, easing slightly the hideous purgatory of the airport moment. I don't understand how people like the celebrity pseud Alain de Botton can enjoy the modern airport experience. Ghastly places. 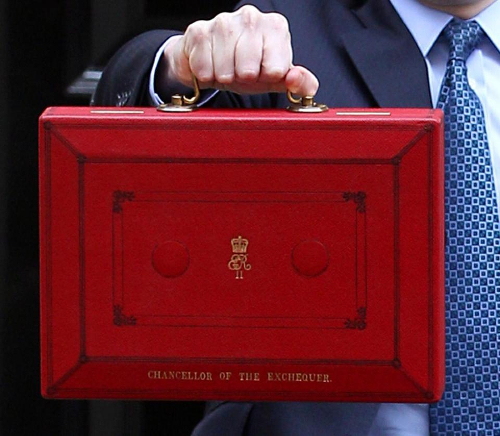 The new red colour reminds me of the Government's official red ministerial dispatch boxes, none more famous than the Budget Box used by the Chancellor of the Exchequer. The original was made for Gladstone in 1860, lined in black satin and covered in scarlet leather, and was still performing its infamous duty until 2011. That's the spiffy replacement above. 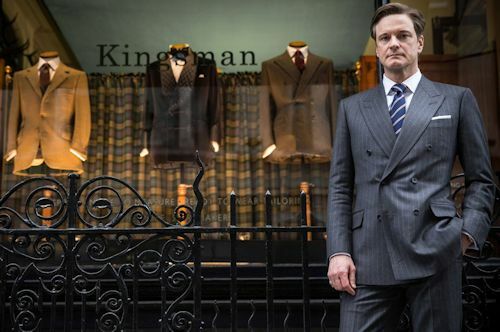 The Globe-Trotter suitcase is handmade in Hertfordshsire. 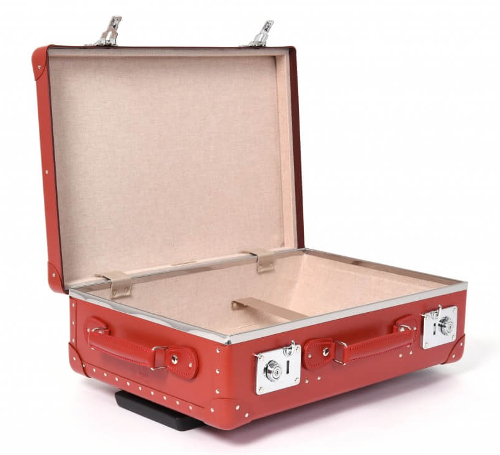 The form of the suitcase is made from a super-strong vulcanised fibreboard which is moulded into shape around a frame. The case is reinforced with leather corners and brass-riveted trims. Leather handles are positioned topside and to port to help with hoicking into the old luggage rack. 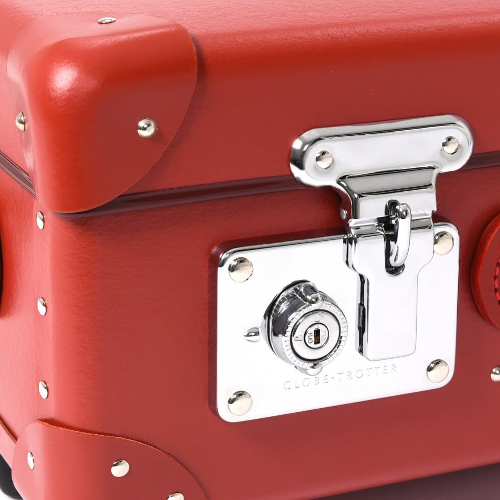 For the careful and private, the case has a serious chromed locking mechanism. The interior of the suitcase is lined with cloth and has straps to keep in place those nice things you've packed for a fortnight's nostalgie de la boue. Great article. When searching for luggage bags, VIP is a one-stop place to fulfill your all travel needs.